The Sentencing Project is pleased to announce The New Press’ publication of The Meaning of Life: The Case for Abolishing Life Sentences and the launch of our Campaign to End Life Imprisonment. 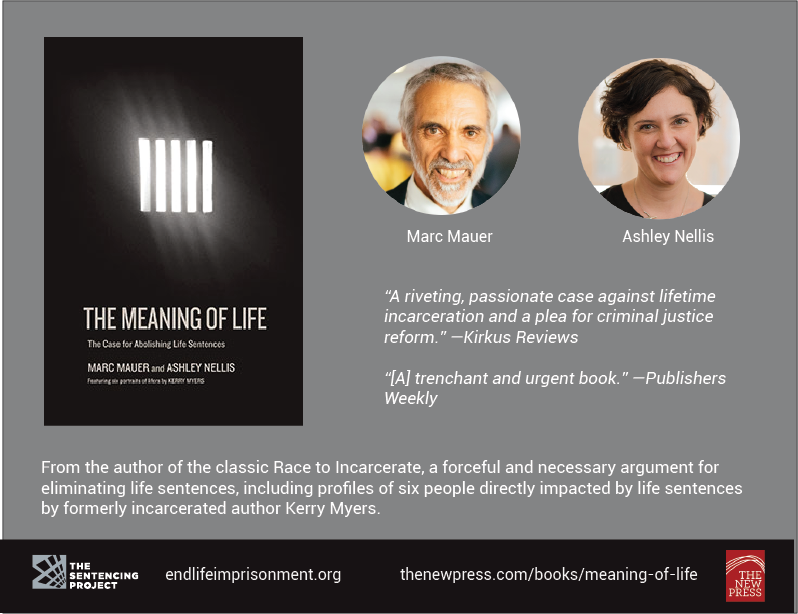 Authored by Marc Mauer and Ashley Nellis, with contributions by Kerry Myers, The Meaning of Life argues that the dramatic growth of life imprisonment – which has led to one of every seven people in prison serving a life sentence – requires advocates and lawmakers to address the problem of excessive sentencing to end mass incarceration. Long-term sentences produce declining impacts on crime as people age-out of criminal behavior, while correctional costs increase as this population ages. In combination with the book, the Campaign to End Life Imprisonment will engage in public education about the consequences of long sentences and support advocacy efforts to reduce the use of life imprisonment. The Meaning of Life can be purchased at local bookstores or through these online sellers. Visit our campaign website here.